Where can I get the CyberLink Application Manager? Users who have subscription software can sign in to CyberLink Members Zone, and then navigate to the Manage My Subscriptions to download the CyberLink Application Manager. This software can also be downloaded in your subscription order confirmation e-mail. Users who purchased the retail box version of the software can download the digital copy of the software through CyberLink Application Manager. 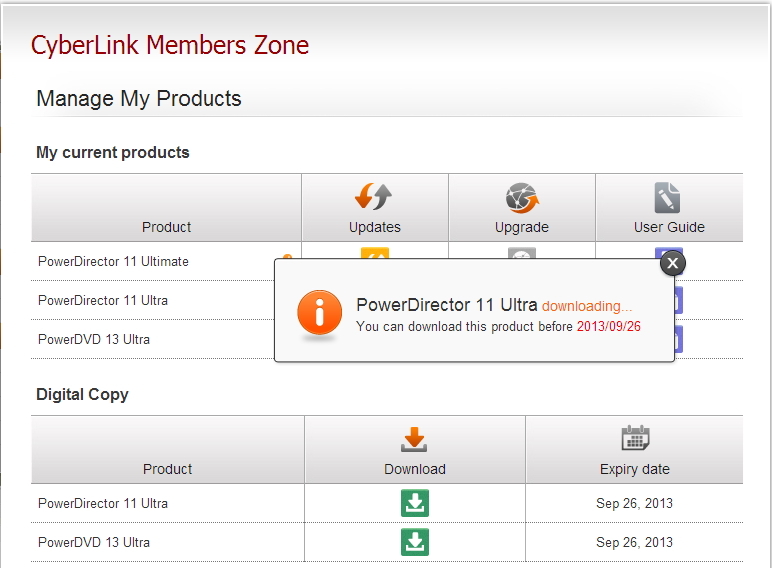 After your product key is verified in the digital locker redeem page, you will immediately have access to the digital copy download button to get the CyberLink Application Manger in CyberLink Members Zone. Note: Retail box software includes a sticker that will guide you through the process of redeeming your digital copy. If you still need help you can contact CyberLink Customer Support.